Confession time: I am not a foodie. Don’t get me wrong, Disneyland has some delicious food, but I am just not someone who focuses on food when I visit the parks (or anywhere). 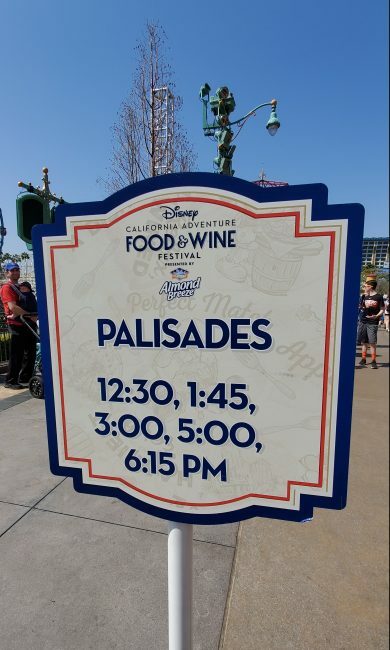 So it might seem weird that one of my favorite times to visit Disneyland is during the California Food and Wine Festival each spring. I love it though! There are so many cool offerings, that foodies and non-foodies a like will love this annual festival. So sit back as I tell you all about Disney California Food and Wine Festival and what there is to do, even if you aren’t big on food. Also, while I am not a foodie, my husband is, so going this time of year makes him extremely happy. We weren’t going to head down as a family this year, but since we were able to book a Disneyland vacation package that took advantage of the AMAZING Spring Ticket Deal this year, I am visiting during the Food and Wine Festival not once, but twice, this spring. 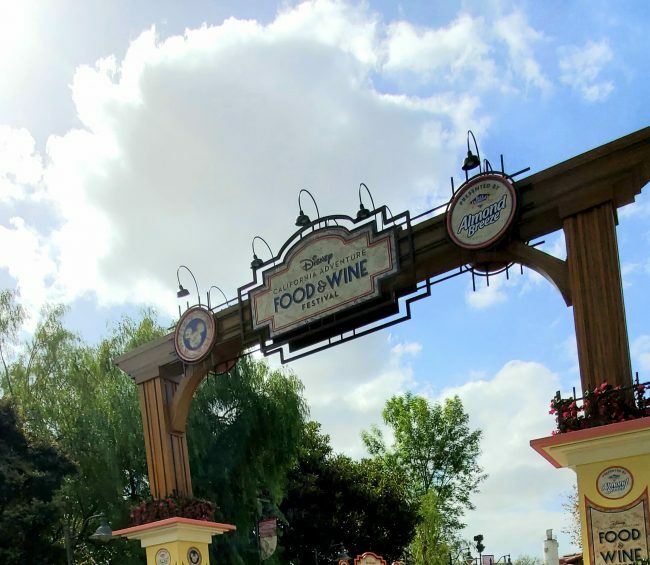 So what exactly is Disney California Food and Wine Festival? It is a celebration of cuisine, drinks, and entertainment inspired by California. From the agriculture, to the culture of the state, they cover it all. The festival is based in California Adventure Park, along the walkway of Paradise Gardens Park, but there are special offerings through out the park for the festival. When is Disney California Food and Wine Festival in California Adventure? Disney California Food and Wine Festival takes place each year in the spring. This year, they have expanded the festival to last even longer, from March 1 – April 23, 2019. This means you have even more time to enjoy all of the food, drinks, and entertainment included with the festival. For the most part, Disneyland’s Food and Wine Festival in California Adventure Park consists of kiosks or carts throughout Paradise Garden Park where you can purchase different foods and drinks based on a theme. One cart may feature fruit based foods, and another might feature spicy foods. TIP: You can order food from any kiosk in one line, then take your receipt to the appropriate cart and pick up the items. There are also special offerings throughout the park, like the Peanut Butter and Chocolate Churro in Hollywoodland, that are part of the festival. The Festival includes food, drinks (both alcoholic and alcohol free) as well as live entertainment and special events. So, while I am not a foodie, I still do eat. And I am married to a foodie. 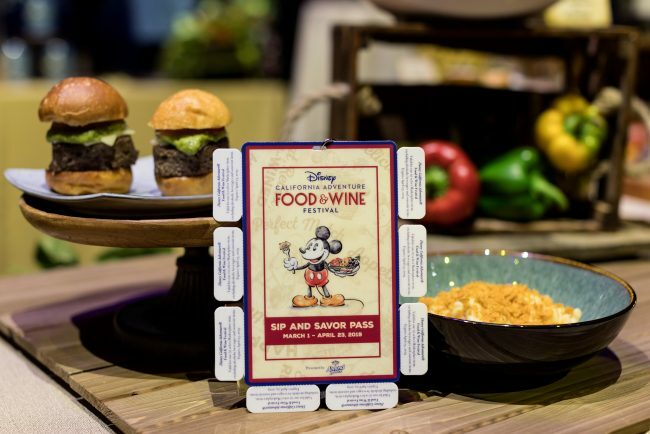 So one of the best investments to make at Disney’s California Food and Wine Festival is the Sip and Savor Pass. 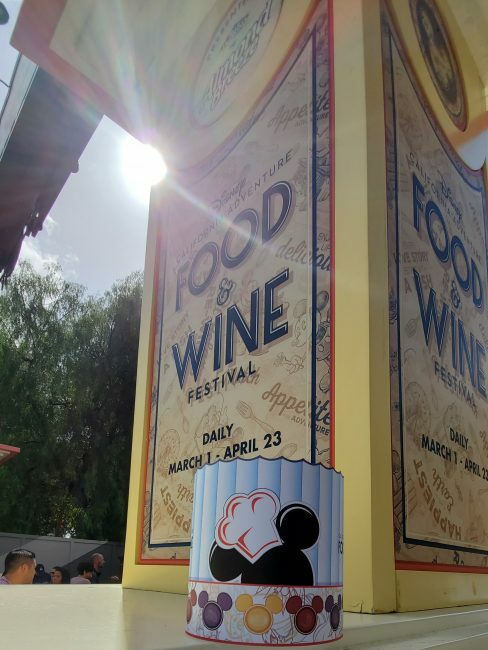 Disney California Adventure Food & Wine Festival takes place March 1 to April 23, 2019. The Sip and Savor pass used to only be available for Disneyland Annual Passholders, but now is available to everyone. It is $54 for the general public and $49 for Annual Passholders. The pass includes 8 coupons to be redeemed for food or non-alcoholic beverages. This can be an amazing value if you be sure that each item you redeem it for is at least 1/8 the price you paid for the pass. TIP: Do not tear off the coupons until you are at the register paying, or they are voided. So if you are like me, and while you think the food is great, it may not get you overly excited, don’t worry, there are still plenty of fun activities and entertaintment to be found that is specific to Disneyland’s annual Food and Wine Festival. One of my favorite parts of Food and Wine Festival at California Adventure is the live entertainment. From bands that play on the stage near the water at Paradise Gardens Park, to shows that let your little ones bake with Goofy, there is something for everyone. If you are hitting up Disneyland’s Food and Wine Festival with Kids, this is the show for you! Kids ages 3 – 11 get to learn how to bake from Chef Goofy. They are able to mix all the ingredients together and place them in a magic oven. In the end each child receives a wrapped cookie. If you want to participate, check the show times and head to Hollywoodland to sign your child up. One of my goals for this year is to learn some new dishes and just how to cook better. 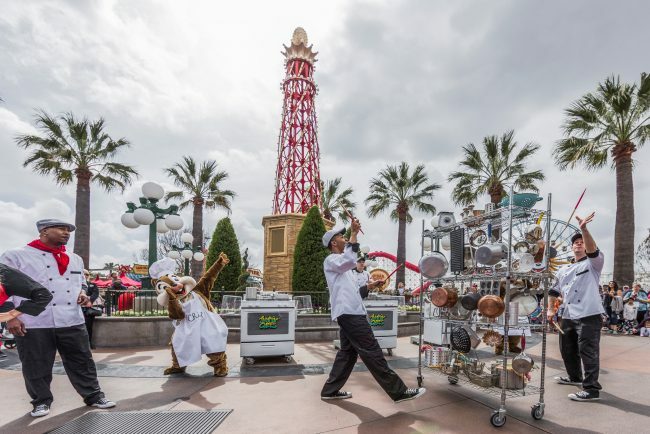 That is why I am excited at select times Friday – Sunday, you can catch culinary demonstrations by amazing chefs in the Hollywoodland backlot. Learn a few tips and maybe a new dish to try out at home. This was seriously my favorite entertainment this last week and I can’t wait to get back with my kids to experience it. Jammin’ Chefs features Chip and Dale and their culinary friends, rocking out and making music while cooking up a beat. This show takes place in Paradise Garden Park, near the entrance to Pacific Wharf and Pixar Pier. Be sure to check show times. Be sure to check the schedule for the stage near the water at Paradise Garden Park, across from Pixar Pier, for more live entertainment. One other great part about Food and Wine festival that might appeal to other non-foodies is the merchandise. 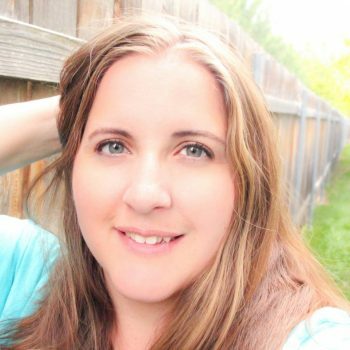 From event inspired tees, and spirit jerseys, to items for your kitchen and more, there is plenty of unique merchandise. And let’s not forget the super cute Minnie Ears (complete with a dinglehopper). 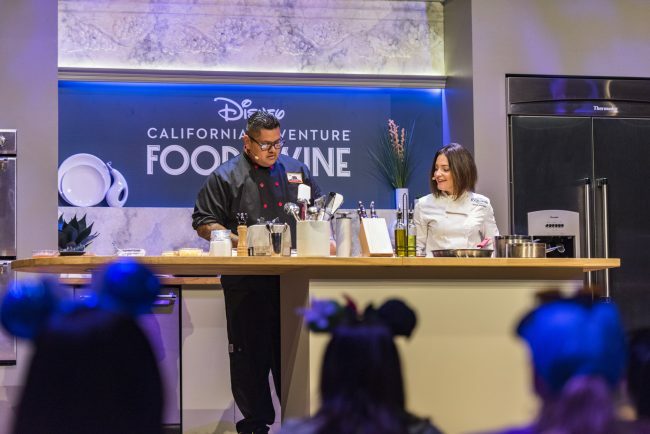 So, fellow non-foodies, don’t miss out on Disney California Food and Wine Festival. And even if you aren’t a big foodie, be sure to check out a dessert or a dish or two, in addition to the non-food offerings available. 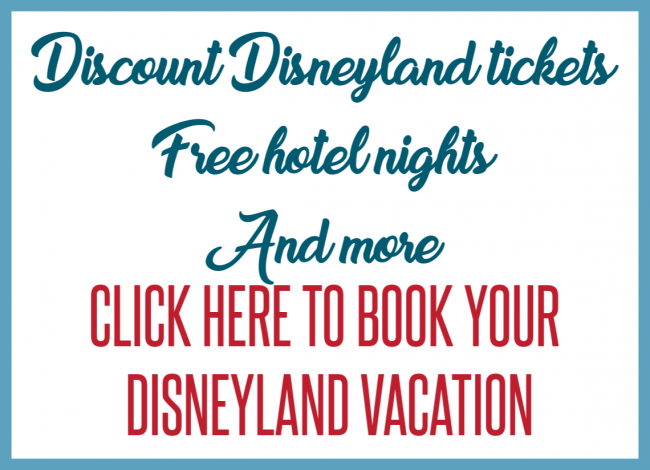 Win a Disney California Food And Wine Prize Pack! 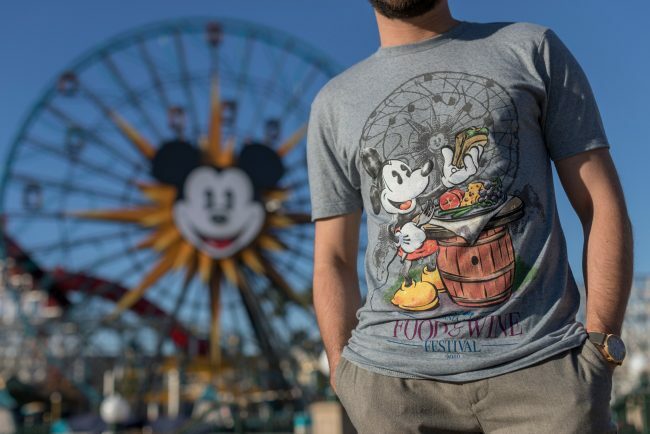 I have teamed up with my fellow Disneyland with Kids co-founders to bring you a giveaway for a Disney California Food and Wine Festival Prize Pack. We reserve the right to disqualify entrants, including professional entrants. Winner will be contacted by email. Thank you for this post. This is our first year going during the festival but we aren’t foodies. I now look forward to jr. Chef and chip and dale music. Maybe we will try some of the special food too. The Mac N Cheese always looks the best!!! It’s kind of my favorite things…anywhere!